It once was redundant to say "local food" or "local wood" because all our food, wood, and the jobs that went with them had to be local. It's taken a few decades, but "local food" is back. Hundreds of new farms, with entrepreneurial zeal, are creating and finding new markets. Since 2013, Local Wood WORKS partners and supporters have been building on the success of the local food movement. We use the term “local” in a broad sense, (e.g., Maine, New England, New York, the Maritimes). Our partners and supporters are committed to sustainable forestry, strong and resilient local economies, conservation of both working woodlands and ecological reserves, reduced energy consumption and transportation costs based on local products, and providing support to landowners, loggers, processors, manufacturers, and consumers. Click here to read our most recent position paper from the Kennebec Land Trust and the Nature Conservancy detailing our goals, principles and indicators of success. 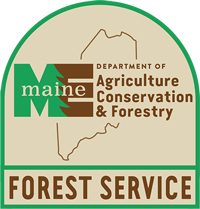 We recognize that Maine’s tourism, recreational and wood products economies, as well as our wildlife, water quality, and sense of beauty and place, are directly connected to the long-term conservation and stewardship of Maine’s forests, which today cover 89% of the state. 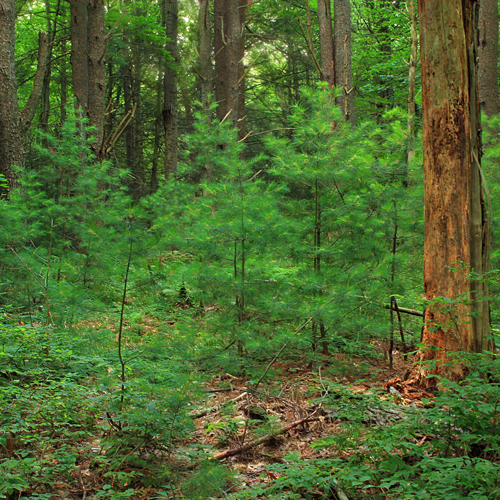 Our top priorities are helping Maine’s forest landowners keep their forests as forests, and promoting policies that support a sustainable financial basis for long-term forestland ownership. That is why we promote Maine wood. Buying wood from local sources supports a chain of providers that rewards landowners for growing trees instead of converting woods to unplanned commercial and residential development. We hope this website makes it easier to connect with wood producers. The Maine Wood Guide provides product information in a dozen categories and is particularly oriented to builders, architects and engineers. In addition, we highlight success stories, provide “how-to” suggestions, and delve a little deeper into “why.” Just as many people are drawn to local food by the stories of people who produce it, we hope consumers will be interested in how people and nature are connected to those products. Building on the Maine brand, LWW partners and supporters are committed to strengthening regional markets and businesses and developing stronger connections among landowners, loggers, foresters, local wood based businesses, and consumers. These markets have the potential to build bridges to link rural and urban communities, conservationists, the forest products industry, academics involved in innovative wood products R&D, builders, and loggers. Since forestland conservation and sustainability and community and economic well-being are central to LWW's efforts, over time we envision that there will be a shift in the practices of and attitudes toward timber harvesting. Timber management will involve a range of appropriate, sustainable activities carried out by community members who are woodland owners, foresters and loggers, with many of the same benefits – environmental, economic, and social – that our communities are realizing from the local foods movement. We see, and taste, the local food movement succeeding in Maine. The principles for our wood economy are the same. Local Wood WORKS projects have been made possible through the generous support of the Elmina B. Sewall Foundation.